Another example of 'contact guarding' is provided by the pair of Common Darters (Sympetrum striolatum) in this photograph, made in Italy in October 2010. 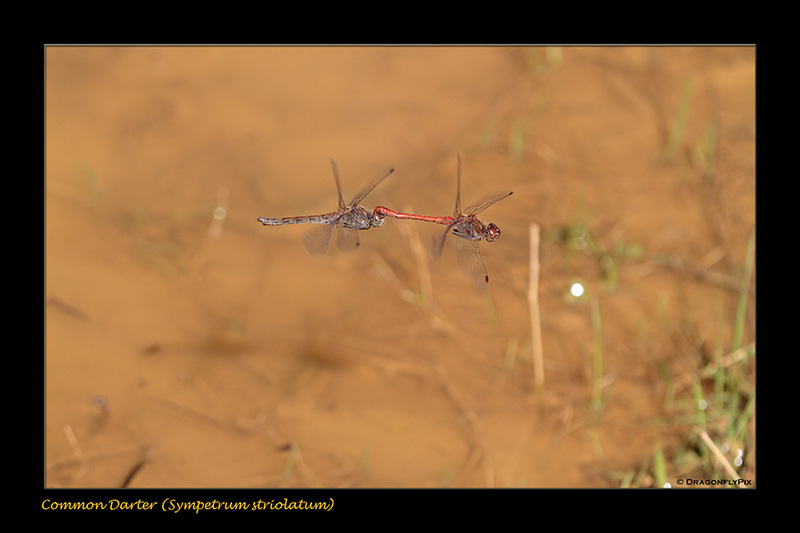 The pair have just finished copulating and he is now flying her off to a suitable site for her to lay her eggs. The pair will stay in tandem, flying up-and-down loops and she will repeatedly dip her abdomen in the water releasing a few eggs at each dip.